U.K.-based systems integrator IVC Technologies has joined the SDVoE Alliance as an adopting member, the first such company to join the technology consortium. IVC Technologies equipped the press room at Wimbledon with IBM Interactive display screens using live and recorded IPTV streams and HTML-based data. 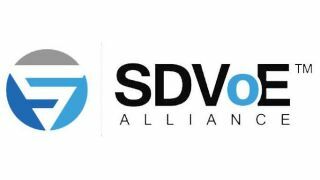 SDVoE technology provides an end-to-end hardware and software platform for AV extension, switching, processing, and control through advanced chipset technology, common control APIs, and interoperability. SDVoE network architectures are based on off-the-shelf Ethernet switches, thus offering cost savings and greater system flexibility and scalability over traditional approaches such as point-to-point extension and circuit-based AV matrix switching.